The landscape of American literature was fundamentally changed when Flannery O'Connor stepped onto the scene with her first published book, Wise Blood, in 1952. Her fierce, sometimes comic novels and stories reflected the darkly funny, vibrant, and theologically sophisticated woman who wrote them. Brad Gooch brings to life O'Connor's significant friendships--with Robert Lowell, Elizabeth Hardwick, Walker Percy, and James Dickey among others--and her deeply felt convictions, as expressed in her communications with Thomas Merton, Elizabeth Bishop, and Betty Hester. Hester was famously known as "A" in O'Connor's collected letters, The Habit of Being, and a large cache of correspondence to her from O'Connor was made available to scholars, including Brad Gooch, in 2006. 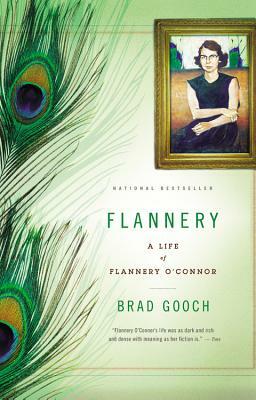 O'Connor's capacity to live fully--despite the chronic disease that eventually confined her to her mother's farm in Georgia--is illuminated in this engaging and authoritative biography. Brad Gooch is the author of the acclaimed biography of Frank O'Hara, City Poet, as well as other nonfiction and three novels. The recipient of National Endowment for the Humanities and Guggenheim fellowships, he earned his Ph.D. at Columbia University and is Professor of English at William Paterson University in New Jersey.